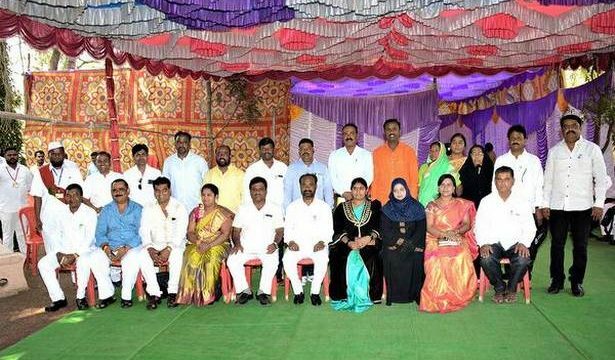 The last annual budget of its tenure presented by the City Corporation council in Vijayapura on Monday found place for various public interest projects, mainly Tonga owners who never have had any place in any corporation budget. The budget, presented by corporator Abdul Razak Horti on behalf of Mayor Sridevi Logavi, included several projects for the development of the city. In a ₹ 49-lakh surplus budget, provision has been made to develop Tanga stands near historical monuments and install water facility for horses used to run the Tongas. The budget has allocated funds for removing silt and restoration of ancient Bawadis (open wells) and installation of water purifier tanks for using water. With an objective of saving electricity bills, the corporation announced replacing halogen bulbs with LED bulbs for all street lights in the city. Several corporators appreciated the budget and described it as one of the best as it has given priority for projects of public interest. During the discussion on the budget, accusations and counter accusations were witnessed between corporators supporting BJP MLA Basangouda Patil Yatnal and those against him. Deputy Mayor Gopal Ghatakamble and corporators Anand Dhumale, Moinuddin Bilagi and Sajjade Peeran Mushrif accused Mr. Yatnal of getting development funds granted only for some select wards. “Does the MLA think that the city has only 11 wards and he wants only those wards to be developed?” asked Mr. Dhumale. Mr. Ghatakamble said that because of this discrimination, several corporators have obtained a stay order on the implementation of the 14th Finance Commission funds as only some wards have got more funds. Earlier, during a discussion on the 24 x 7 drinking water scheme in the city, several corporators cutting across party lines demanded that the agency concerned be blacklisted as it has not been implementing the project as per contract. After the end of the session, as a tradition, the corporators posed for photographs as it was the last budget meeting of this elected body.